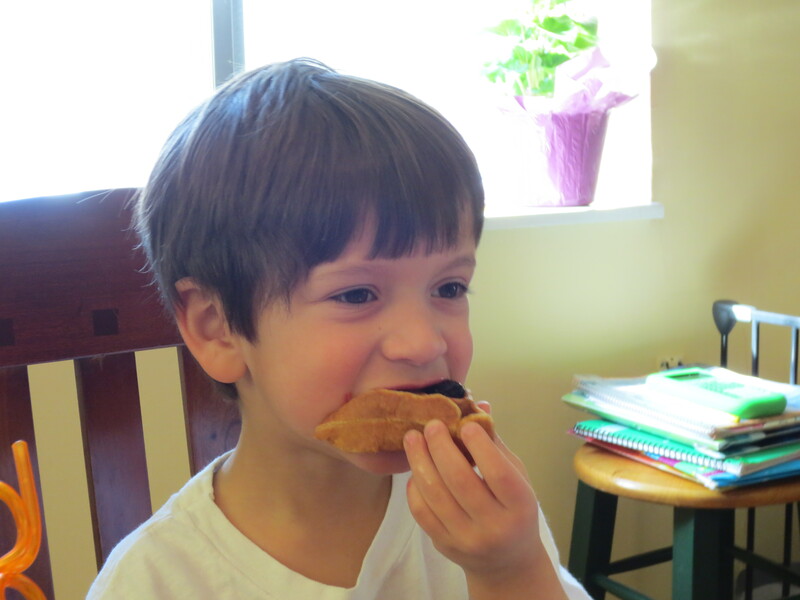 Pancakes and waffles while being served semi frequently in our home are still always a special treat for the family. 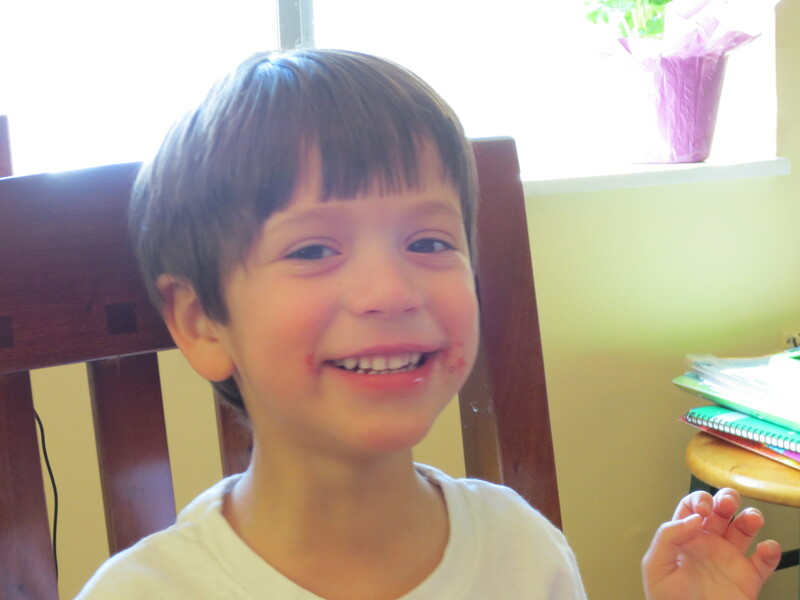 All I have to do is merely mention the idea of making either and Evan immediately requests (demands) Raspberry Sauce! It’s an easy but oh so tasty addition to the weekend brunch and I highly recommend you add it to yours. Your family will thank you (hopefully with squeals of delight, smiles and great big hugs)! 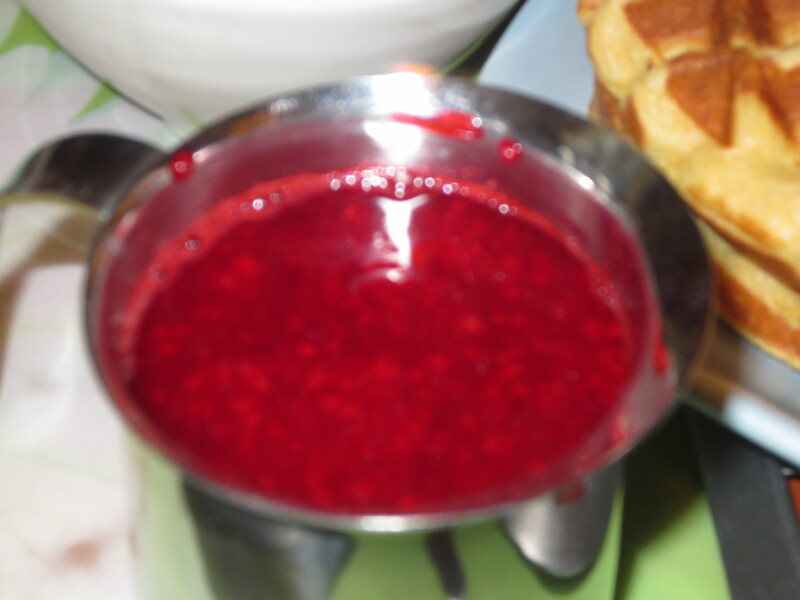 In a small saucepan, add the raspberries, sugar and jam. Cook over low to medium heat, occasionally stirring and breaking up the raspberries with the back of the spoon. Add a little water if the sauce is too thick. Just before serving add a bit of fresh squeezed lemon juice. The sauce comes together rather quickly as it’s merely a matter of heating up the raspberries enough to break them down and warm through. Start it as you begin cooking your pancakes and waffles and just leave on the stove to stay warm until ready to serve. Remove from heat and pour sauce into a small pitcher to serve. Enjoy! 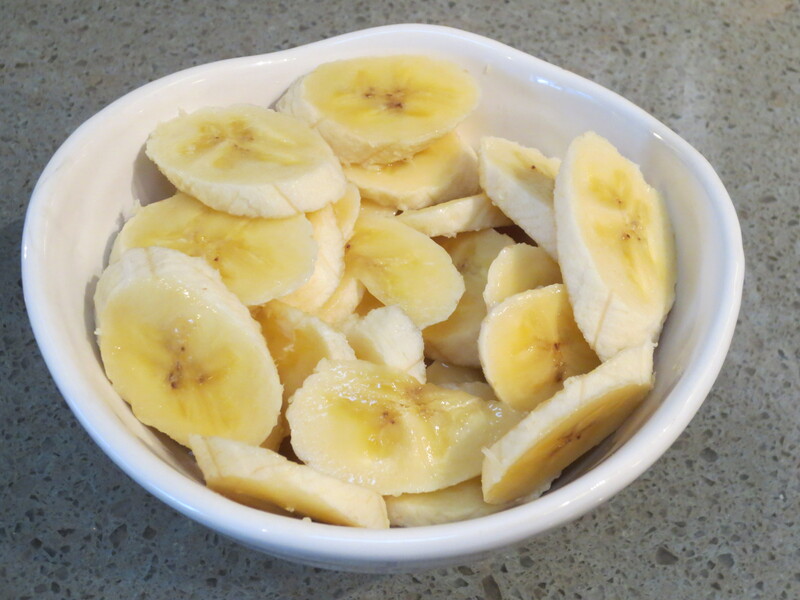 Combine all the dry ingredients in a large bowl and whisk together. In a medium bowl or large measuring cup, combine the Egg Yolks with the remaining wet ingredients. Add the wet ingredients to the dry ingredients. Using a rubber spatula or large spoon mix until just combined. In a separate bowl, whip the separated Egg Whites with either a large whisk or hand mixer until stiff and glossy peaks form. Fold the Egg Whites into the combined batter, being careful not to deflate the whites. Heat a waffle iron. Once heated, brush with a little melted butter or spray with cooking spray. 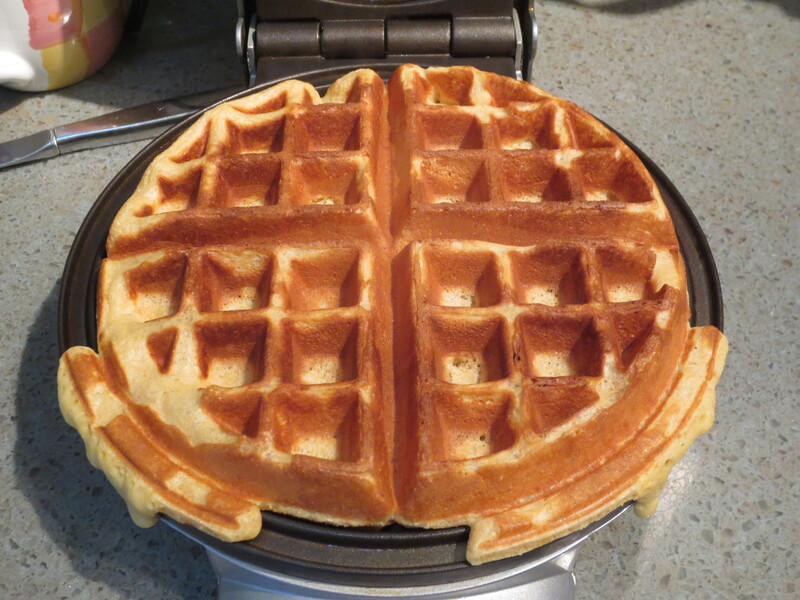 Pour a scant ¾ cup of batter onto the heated waffle iron and spread around to almost cover. Close the waffle iron and cook per your waffle iron’s instructions. Continue cooking waffles and keep cooked waffles warm in a 185 F oven, until all waffles are made. 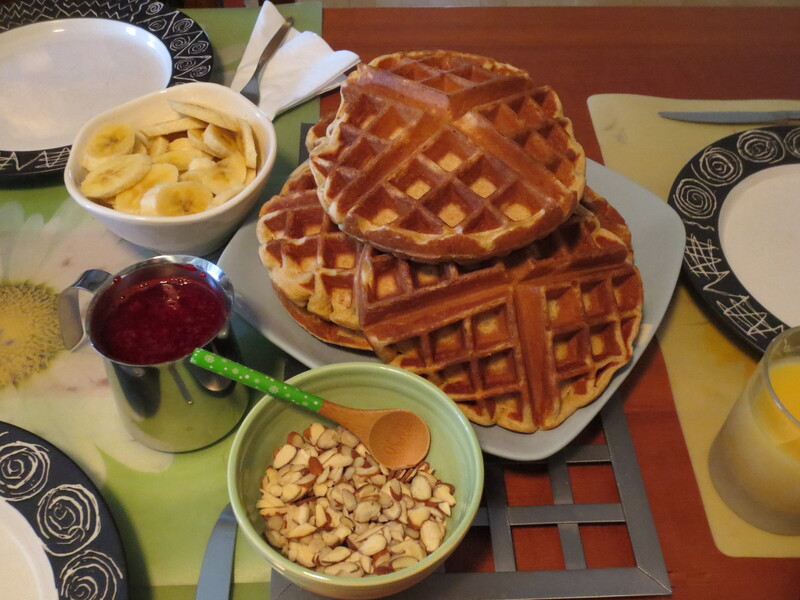 Serve waffles with maple syrup and/or raspberry sauce, chopped nuts (pecans, walnuts or slivered almonds are all delicious), fresh berries and/or bananas. Makes about 7 waffles. 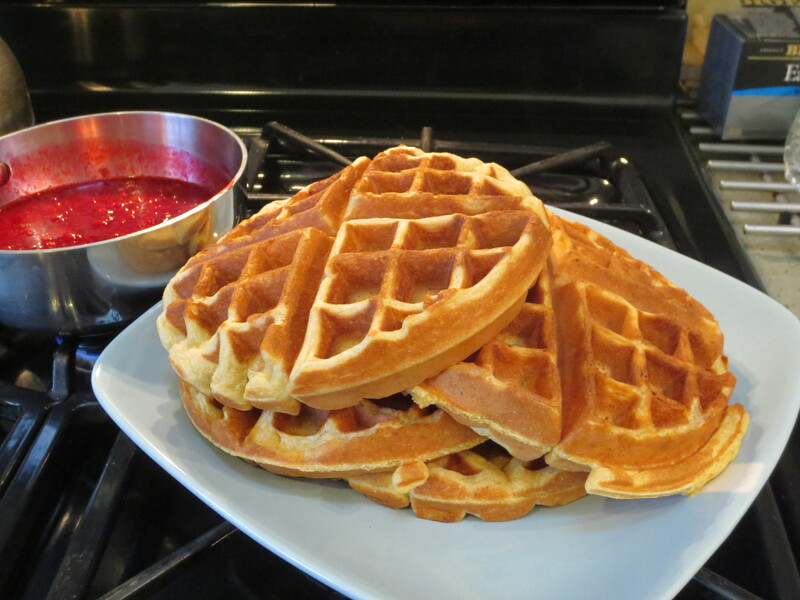 Uneaten waffles will keep in the fridge or freezer and reheat well in a toaster oven.